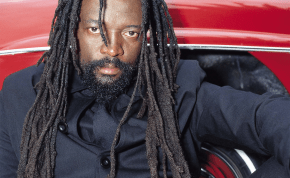 Nkulee Dube, the daughter of one of Africa’s greatest musicians of all time Lucky Dube, jetted into the country Tuesday evening ahead of her concert slated for Friday night at the Carnivore. Her show will be a commemoration event marking the seventh anniversary since the demise of her father. The easy-going ethno-soul, jazz, raga and reggae songstress was jovial at his first ever visit to Kenya. She expressed her feelings by taking about ten minutes after her arrival to dance with the Kenyan dancers who were specially waiting for her awaited touch-down at the Jomo Kenyatta International Airport. “I am so happy to be here. It’s my first time in Kenya but I already feel like home. My dad loved this country and so do I. I’m here to show love; and appreciate all the loving I’ve had from the Kenyan fans. I promise an awesome show on Friday,” she told The Star. She was with her back-up singers Bongi Mabaso and Mary Khumalo. Nkulee is known for her 2013 hit reggae jam, Africa Awake. 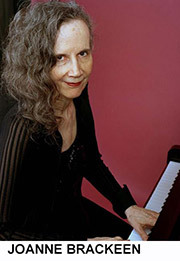 Jazz pianist, educator, and composer Joanne Brackeen was honored with the BNY Mellon Jazz 2014 Living Legacy Award in a special ceremony at the John F. Kennedy Center for the Performing Arts on Friday, October 10, 2014. The Living Legacy Award honors jazz masters from the mid-Atlantic region who have achieved distinction in jazz performance and education. Guests enjoyed a gala reception in the Kennedy Center Atrium including music by the Blues Alley Youth Orchestra Combo. In honor of the 20th Anniversary of the Living Legacy Jazz Award, previous Legacy winners joined event guests for the evening, including: Kenny Barron, Roy Haynes, Jimmy Heath, Oliver Lake, Rufus Reid, Larry Ridley, and Reggie Workman. Following the Award presentation, guests were treated to 2012 Living Legacy awardee Muhal Richard Abrams and his group in a rare, Washington, D.C. performance in the Terrace Theater. Previous Living Legacy Award winners (from 2013-1994) include Nathan Davis, Muhal Richard Abrams, Phil Woods, Roy Haynes, Dr. Frank Foster, Kenny Barron, Benny Golson, Oliver Lake, Rufus Reid, Randy Weston, Keter Betts, Jimmy Heath, Joe Kennedy, Jr., Shirley Scott, Reggie Workman, Dr. Donald Byrd, Larry Ridley, Barry Harris, Robert “Boysie” Lowery, and Clark Terry. A Millennium Award was conferred on Dr. Billy Taylor in 2000. The BNY Mellon Jazz 2014 Living Legacy Award is a program of Mid Atlantic Arts Foundation and is sponsored by BNY Mellon with additional support from The Reva and David Logan Foundation and Amtrak – The Official Rail Sponsor of the BNY Mellon Jazz 2014 Living Legacy Award. This program is made possible through a collaboration with the Kennedy Center. Mid Atlantic Arts Foundation develops partnerships and programs that reinforce artists’ capacity to create and present work, advance access to and participation in the arts, and promote a more sustainable arts ecology. The Foundation was created in 1979 and is a private non-profit organization that isclosely allied with the region’s state arts councils and the National Endowment for the Arts. It combines funding from state and federal resources with private support from corporations, foundations, and individuals to address needs in the arts from a regional perspective. The region includes nine states and jurisdictions: The District of Columbia, Delaware, Maryland, New Jersey, New York, Pennsylvania, the U.S. Virgin Islands, Virginia and West Virginia. 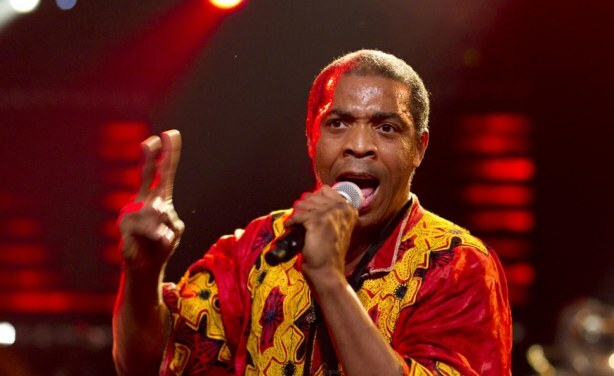 Lagos – Femi Kuti, a musician and son of legendary Afro beat musician, Fela Anikulapo-Kuti, on Monday, urged leaders in the country to shun corruption and implement programs that would develop the country. Kuti made the call in an interview in Lagos, during the celebration of the 2014 edition of Felabration. Felabration is a ceremony to celebrate the life and times of Anikulapo-Kuti, which had ‘The Amalgamation of the People of the Niger Area’ as its theme. Anikulapo-Kuti, who founded the Afro beat genre of music in the late 1960s, achieved worldwide fame with evergreen songs like Shakara, Zombie and Water no get enemy. Femi Kuti said if corruption was reduced, the nation would stand a good chance to meet its development goals. 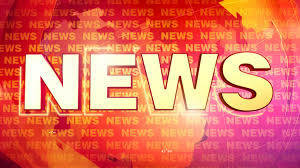 On the annual celebration of Felabration, the musician said that it was meant to enlighten the masses and to brainstorm with stakeholders on the need for national development. Felabration is to impact change on economic development. We want all sectors of the economy to get a boost, such as electricity, roads, tourism and agriculture.’’ he said. There’s no end of musical lessons saxophonist Richard Elliot learned in his five years with Tower of Power. That most important, he once told me in an interview, is the need to get your horn heard, even when sharing the stage with an assemblage of top-flight musicians. That fate rarely befell Elliot in his time with TOP days and it’s hardly been an issue since he embarked on a solo career. Indeed, the past three decades have seen him emerge as one of contemporary jazz’s most popular acts, a sax man adept at blending the genre’s jazz, pop and R&B sensibilities into a cogent, commercial whole. Northern California audiences can experience that signature sound for themselves Saturday as Elliot and his band perform two sets at Yoshi’s. The tour enables Elliot to mark the 30th anniversary of Elliot’s his album, “Initial Approach,” even while featuring music from his latest, “Lip Service.” There have been 20 releases in between, predominantly solo albums (“Take to the Skies,” “Soul Embrace,” “Chill Factor,” “Metro Blue”) but with a few collaborations too (“RnR” with Rick Braun; “Summer Horns” with Dave Koz, Mindi Abair and Gerald Albright). Raised in Southern California – his first jazz concert was a Dexter Gordon show in Redondo Beach – Elliot’s early influences also included Led Zeppelin and Genesis. By his teen years, he was touring Europe with the likes of Natalie Cole and the Pointer Sisters and backing Smokey Robinson in the studio. Stints with Melissa Manchester and the Yellowjackets preceded his years with Tower of Power. Through the course of his solo career, Elliot has emphasized the importance of following his instincts rather than any industry or audience expectation. Luanda — The Angolan musician Proletário considered on Tuesday in Luanda satisfactory the quality of the current CD production, fruit of investment by the national creators of releasing to public works whose topics are worked with rigor, thus denoting devotion in the valorization, divulgence and preservation of the Angolan cultural roots. According to the musician, who was speaking at Angop about the Angolan music, despite it has recorded a progress in terms of quality, it is necessary for a more active participation of all Angolan cultural agents and creators. To Proletário, the Angolan creators should also invest in the research of the musical roots, of the traditional rhythm, stories and proverbs, so as to valorize further the Angolan cultural origin. Proletário also considered necessary for the national business people to invest more in the promotion and divulgence of the Angolan cultural identity, aiming for greater development of the national music. Born in 1957, Proletário started his music career in 1970, but he became famous in 1972/73 in Kaputo ward in Luanda, where he used to perform in Maria das Crequenhas recreational centre. 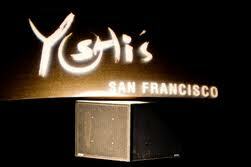 Say goodbye to Yoshi’s San Francisco. The venue will soon be known as The Addition. The name change, which was announced Tuesday, will go into effect on Nov. 1. Organizers will then celebrate the new brand on Nov. 21 with a performance by jazz great Roy Ayers. The 28,000-square-foot facility — located in the Fillmore District/Western Addition neighbourhood — originally opened in 2007, becoming the Bay Area’s second Yoshi’s venue. It was sold earlier this year to the Fillmore Live Entertainment Group, which continued to operate it under the Yoshi’s brand. The Addition will host a variety of musical acts, ranging from R&B and rock to jazz and world music. The music programming will be handled by Peter Williams, a long-time industry veteran who worked for years in the same role for Yoshi’s. More recently, Williams booked music at the Napa Valley Opera House. The new venue’s website is www.theaddition.com, but it doesn’t go live until Oct. 16.